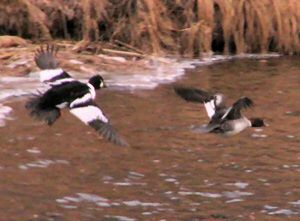 The table above shows all of the counts for ducks for 15 years of the Dixon CBC. 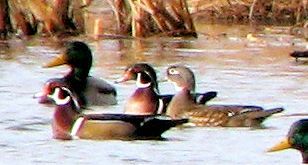 The "Individuals" column at the right shows that there were 4,198 ducks counted in 15 years. 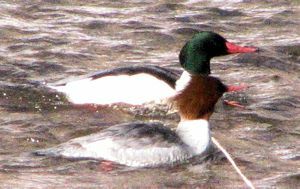 The next column shows the percentage of that total represented by each species. 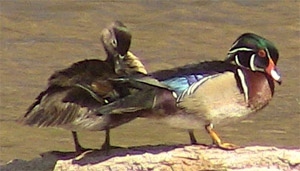 More than 95% of all ducks were accounted for by 3 species. 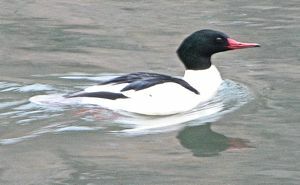 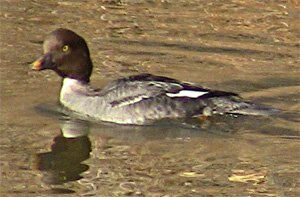 The Mallard is known to most people, so mastering 95% of the ducks requires study of just two species: Common Goldeneye and Common Merganser. 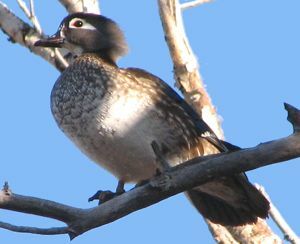 The Wood Duck, at 2.26%, is very distinctive in both male and female plumage. 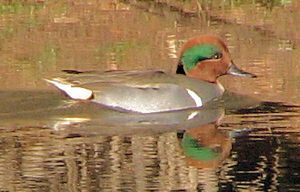 The Green-winged Teal, at 1.17%, is distinctive in the male plumage. 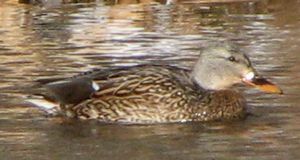 These three species account for 95.52% of all Ducks counted. 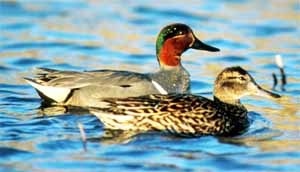 These two species give you another 3.43%. 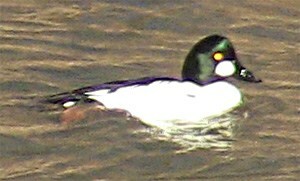 Image Search Male (top right): Coloration and white neck markings distinctive. 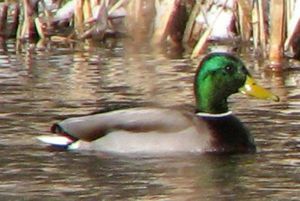 Male (bottom front) in eclipse (non-breeding) plumage.